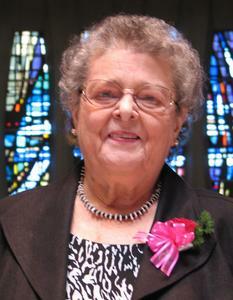 SISTER MARY (CATHERINE ANN) VACULIK, O.P. Sister Mary Vaculik, O.P., 87, passed away at Lakeshore at Siena, Racine on Thursday April 4, 2019. Mary Margaret Vaculik was born January 15, 1932 to Frank and Esther (nee: Lui) Vaculik in Racine, WI. On August 30, 1948 she joined the Racine Dominicans and at her reception in 1949 she was given the religious name Sister Catherine Ann. She professed her first vows in 1951 and her final vows in 1957. In 1968 she returned to using her baptismal name Mary. Sister Mary spent many years in service to others in teaching before she became a Religious Education Director. She began her ministry in 1951 at St. Bernard, Madison, WI. Other places in Wisconsin where she served were St. Mary, Kenosha; SS. Peter and Paul, Green Bay; Holy Name, Kimberly; St. Louis, Caledonia; St. Edward, Holy Name, and St. Patrick, Racine; St. Luke, Plain; St. Peter, East Troy; St. Francis Xavier Parish, Merrill; Sacred Heart of Jesus Parish, Milwaukee; and St. John Parish, South Milwaukee. She also served at Holy Trinity in Fowler, MI. For 15 years she worked at St. Francis Hospital, Milwaukee as a Patient Advocate. In January 2016 she moved to Siena Center, Racine, WI. In April 2018 she became a resident at Lakeshore at Siena, Racine, WI. Sister Mary is survived by the Racine Dominican Sisters and Associates; many special friends; her sister Catherine Otto; and nieces and nephews. She was predeceased by her parents; and her sisters Frances Kreplan and Monica Vaculik; and brother-in-law John Otto. Visitation will be in the Siena Center Chapel, 5635 Erie Street,on Thursday April 11, beginning at 9:00 a.m. with a Remembering Service at 9:30 a.m. followed by a Mass of Christian Burial at 10:30 a.m. Interment will take place at Holy Cross Cemetery Hwy 32. Memorials to the Racine Dominican Mission Fund have been suggested. The Racine Dominicans would like to extend their thanks to the staffs of Supportive Living at Siena Center, the Community Care Pace Program and Lakeshore at Siena who cared for Sister Mary.